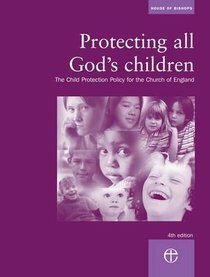 This updated edition of the House of Bishops' policy on child protection sets out a statement of the general principles of the Church on the subject of child protection and the responsibilities of the Church - from the central structures of the Church of England, to the dioceses and parishes.Prepared in response to latest legislation and government guidance for the safeguarding and protection of children, it sets out procedures for dioceses and parishes to follow so as to ensure common practice: the safe recruitment of those working with children, responding to concerns about possible abuse, and ministering to known offenders. This document has been authorized by the House of Bishops as the minimum requirement for all those involved in work with children in the Church of England. About "Protecting All God's Children"